Posted on 22nd November 2018 at 10:20 am. It’s that time of year where listicles pop up all over the internet summarising the best (and worst!) of 2018. We thought we’d use this reflective period to think about some of our favourite exhibition designs in Manchester, DD Exhibitions’ home! We build a huge variety of stands home and away but especially enjoy working on our home turf. So, here’s a selection of our favourite exhibition designs in and around Manchester. Exhibition Design Manchester: A space-only stand built for conversation. 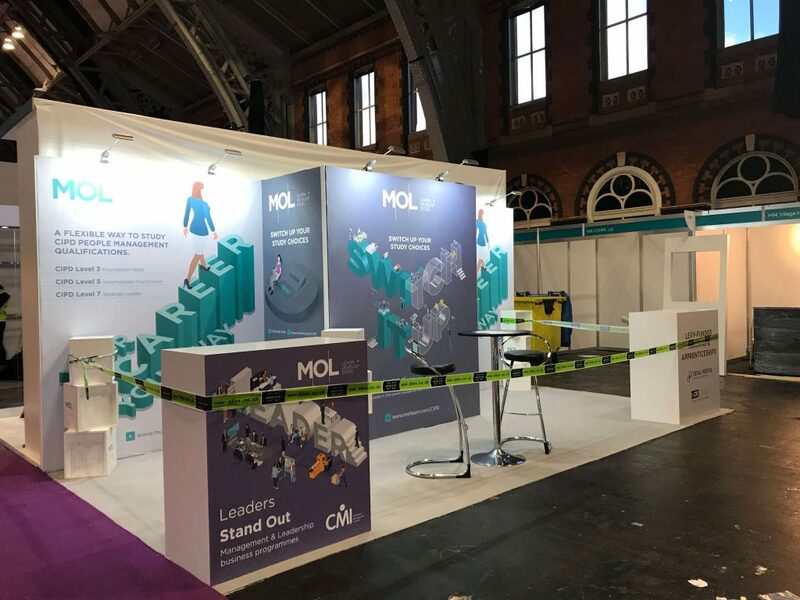 We built this brilliant stand for MOL at the CIPD Annual Conference at Manchester Central. The spacious design lends well to conversational interaction with visitors, which in turn suits the learning-focus. The furnishings created natural areas to gather, network and sell, and the built-in store room served as an out-of-eyesight area keeping marketing literature at hand. 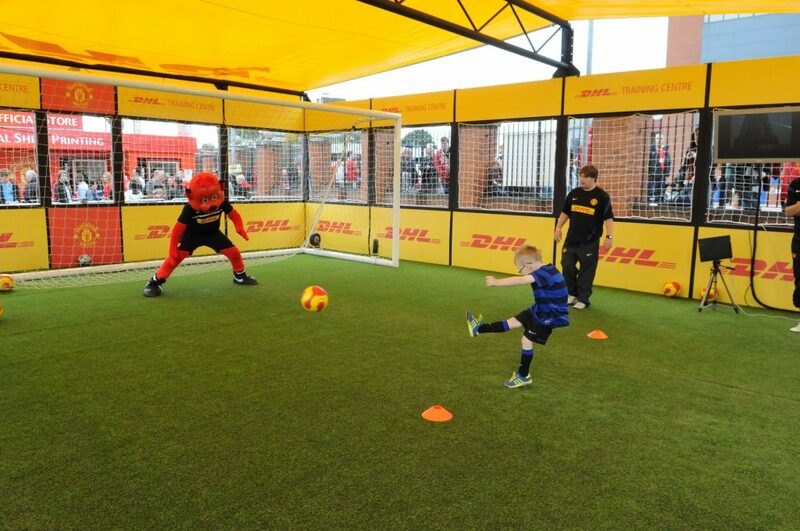 Outdoor events always provide the ultimate space for creativity and this stand we designed and built for DHL was no exception. The stand made use of its plot outside Old Trafford by directly appealing to fans, giving visitors the chance to score against Fred the Red. It was the perfect combination of fun and football to celebrate their sponsorship of the Manchester United team. 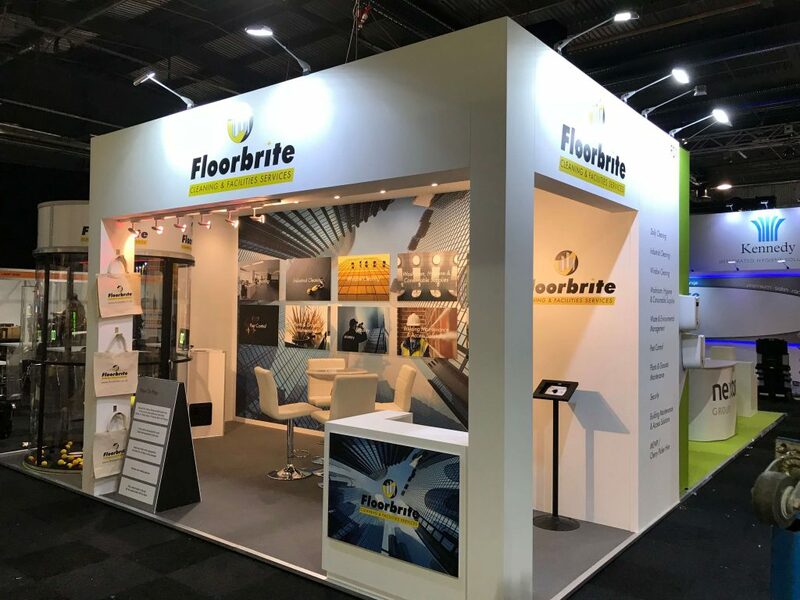 We worked with Floorbrite at Event City in Manchester to build this enclosed stand. 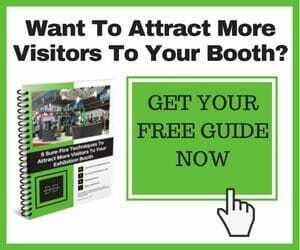 Enclosed stands give you the power to create a strong brand experience by creating a space in the exhibition hall to really bring your customers in. This stand worked well to minimise distractions from the busy hall and create a warm and inviting space with their own lighting. 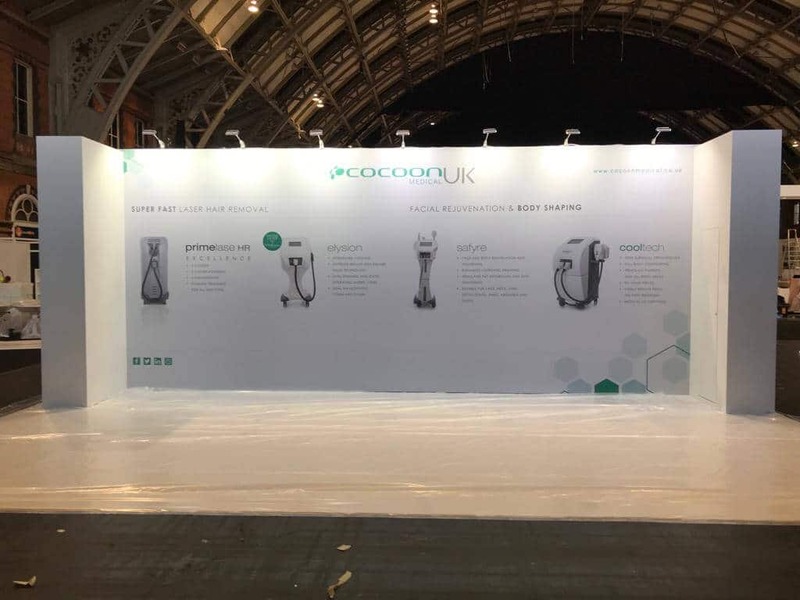 This stand for Cosmeditech created a slick and informative backdrop so that their products could take centre stage. This way, if a visitor couldn’t find a free member of staff at the busy Manchester Central event, then they would still be able to interact with the brand and learn about the products in the meantime. Our friendly, knowledgeable and local team can build you a stand no matter your objectives or budget. Click here to call DD Exhibitions for your exhibition design and build needs today.